I think everyone wold really benefit from a tuning guide of where to start, what to adjust first etc. I know I personally want to start from my stock tune and make my own true tunes. So where is the best place to start? Fuel Rail, Injection duration? Torque to fuel? 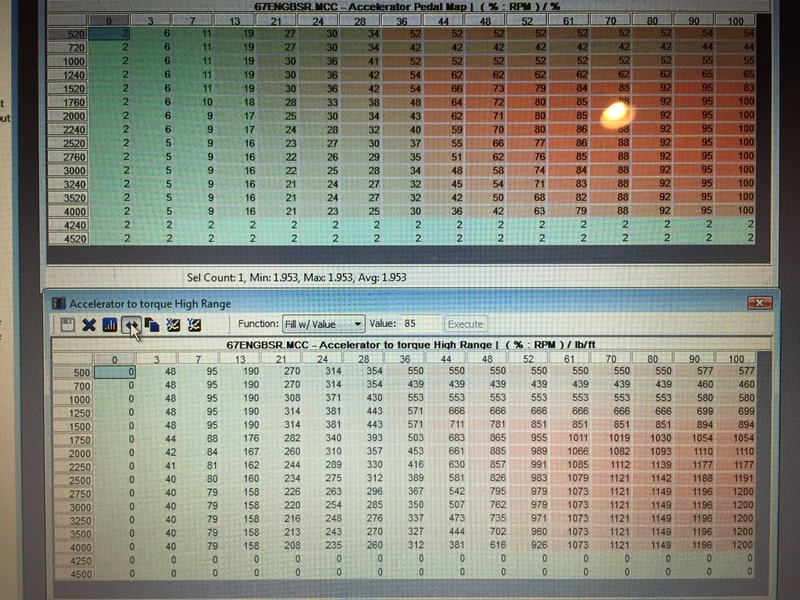 I am personally ******d as I am in Canada so do I need to only modify the EOM0 tables? I Agree it would be very helpful! I decided to purchase the pro racer package from SCT and a Livewire TS+ after chatting with a shop here in Canada. Wow there is way more tables compared to MCC! The tables are also labeled alot different in terms of the titles and everything is in Metric units supposedly how ford had programmed the trucks originally so there are no conversion factors used behind the scenes like MCC. Most tuning will be done in EOM0. 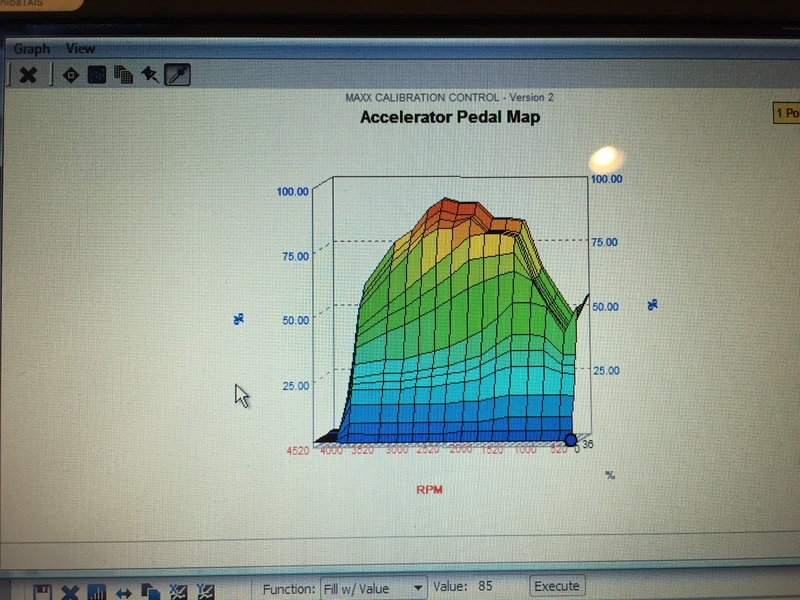 For on-road calibrations, be careful when tuning EOM1 through 4. It's important to add WOT fueling (through the torque to quantity conversions) to maintain power during regen states, but messing with timing and turbocharger controls can cause malfunctions or damage to the after-treatment system. You need to be very sure of what you are doing before making changes to those areas. 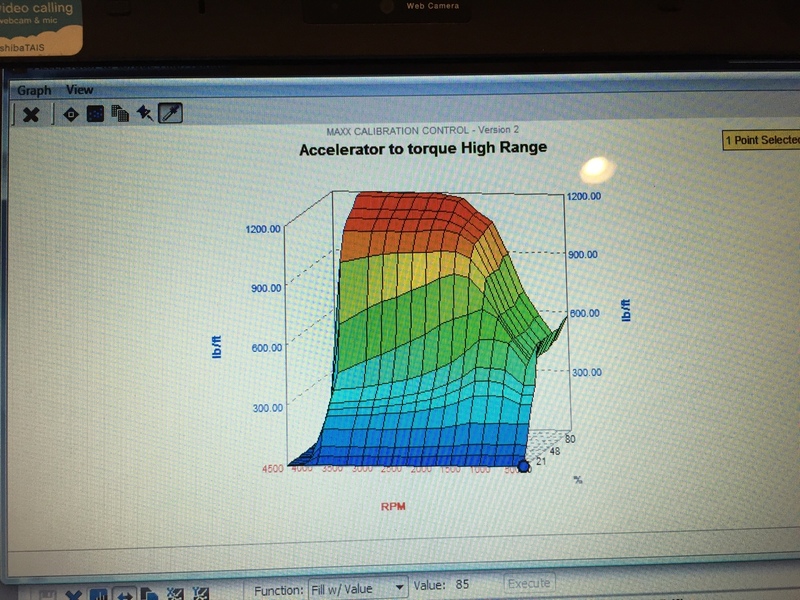 For race tuning, the truck will remain in EOM0 if everything is calibrated properly. 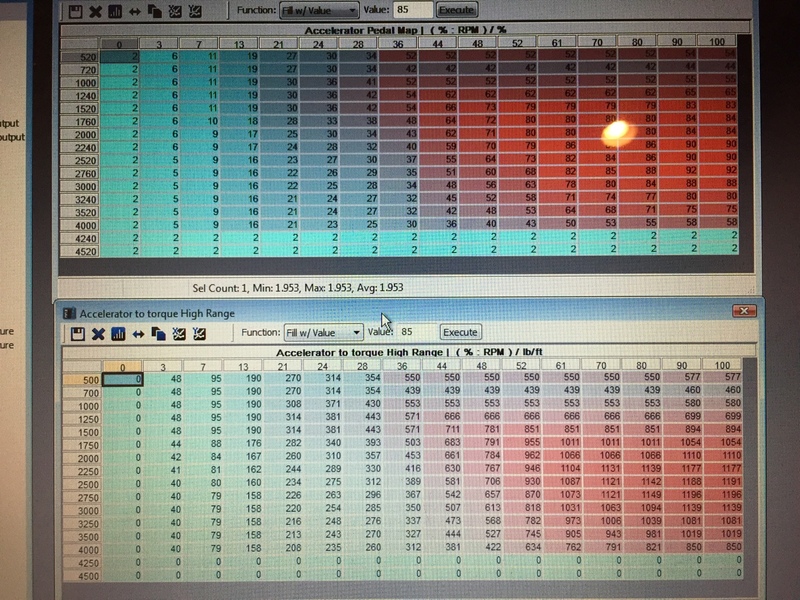 As far as the base tables, such as tables labeled "Bas0", "Bas1", "Bas2", etc, those tables are selected by temperature and atmosphere conditions. Three things can affect this- ambient temperature, ambient pressure, and coolant (engine) temperature. There are other underlying tables that lay out these conditions (which are modifiable), but chances are you won't find them in MCC or SCT software. For most intents and purposes, these tables are coolant temperature based. "Very Cold" conditions (below -10) would fall into base 3 or 4, and rise through the operating range to base 0. Most tuning is done in base 0 and sometimes base 1. Below this is usually best left stock, for cold drivability purposes. Configuration mode based tables depend on what injection events are currently active (pre injections 1 and 2, main, post injections, etc) and are defined by other underlying maps. Most performance gains will be seen configurations 1 and 2, sometimes 3 and 4. One thing I'll pick apart concerning the linked articles, is starting with injection timing. I disagree. 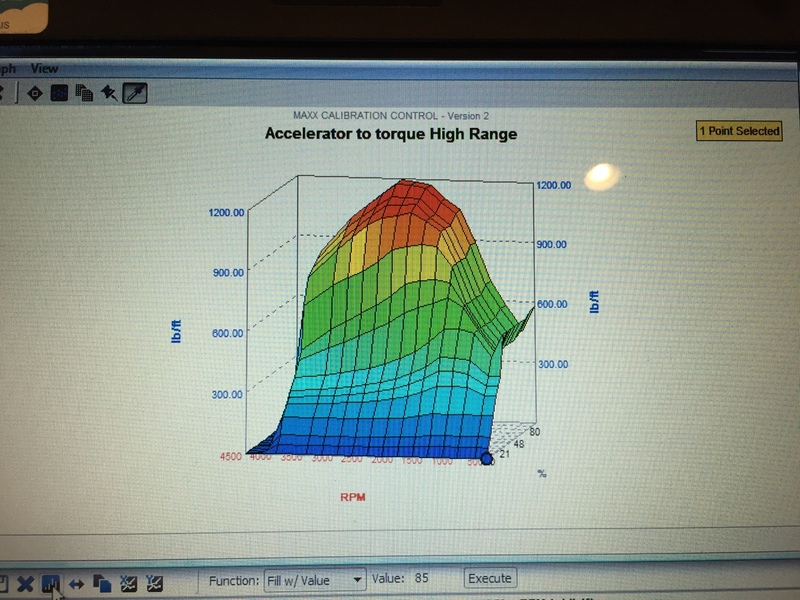 With the 6.7, torque limitations need to be removed first, then fueling and air, then timing. The amount of tolerance these engines have for injection timing is very dependant on overall fuel flow and boost pressures. As far as unit conversions, it's correct that SCT left the units in metric (as it should be). Trying to convert back and forth is quite cumbersome, as torque beast has run into in the other thread. All OEM tuning is done in metric units, and if the software you are using is selectable between the two, I'd highly recommend sticking to metric. That is some very helpful Information!!!! So what is actually causing the 6.7 to throw rods? is it too much commanded fuel and boost down low or too much timing? From what I have read if you add fuel down low and retards timing it will help spool up as the fuel is injected later therefor more energy is in the exhaust vs used to force the piston down. In the SCT Software I do not have "injection Quantity" only Injection Quantity to Energizing Time Conversion which looks to be the same thing. Also I cannot seem to find the Torque to fuel conversion in SCT like the MCC does. It seems like MCC has renamed most of ther maps and tables etc which makes it more user friendly. So add fuel in the higher rpms (say above 1600) to avoid too much torque down low and save the rods? It can be confusing at times. However by following your advice by changing duration and lambda back and using the torque to fuel has made my truck drives a lot better. That is what I did and is working good. Not sure what turbo you have but should not need to retard timing to spool stock turbo but it does help on larger turbos. One of the biggest mistakes IMO people make is add too much fuel down low. You can snuff out the fire with too much fuel. You have the value files right? I would do something similar but wouldn't push the fuel until you do a different turbo, assuming your on the stock charger. Some maybe as needed. Yes I have the value files but for my 2012 it is only the limiters that are changed and the fuel rail pressure to voltage sensor table. No other changes to boost or trans. thanks for the info on the OEM, now i have a question regarding them, i see temp 1,2,3,4... what do those represent and do we have to change all the tables in those to the same? Those temps correspond to engine coolant temperature and ambient temp. Temp 4 would be the coldest and temp 1 is operating condition. 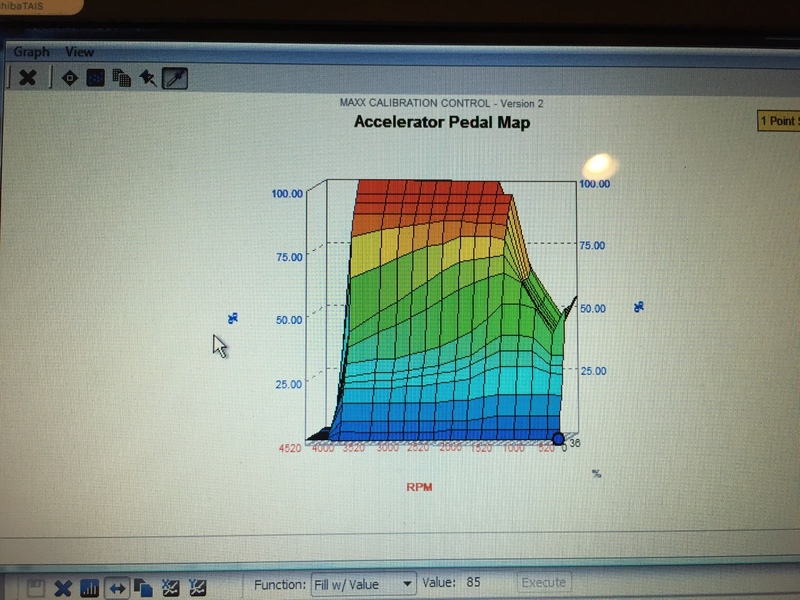 If none of the fuel or boost tables torque axis goes above say 1000, why would you have your pedal to torque map at 1200?